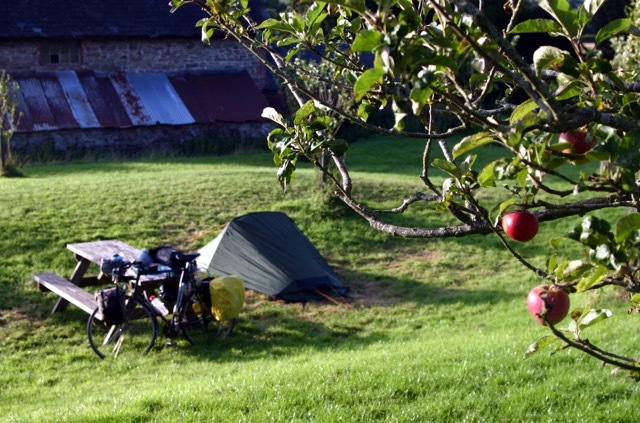 Situated on the edge of the Brecon Beacons National Park and only 10 minutes by car from Hay on Wye our orchard campsite provides a friendly relaxed atmosphere and an authentic camping experience. 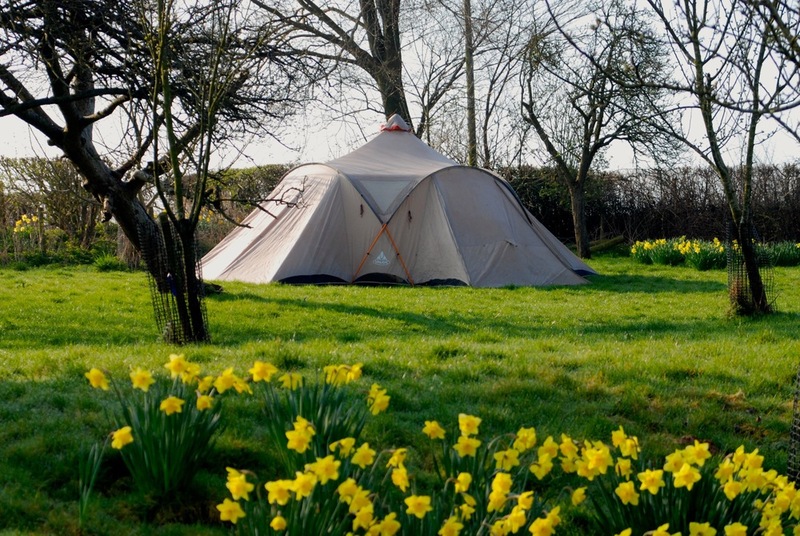 The orchard campsite is a magical place with plenty of space so our visitors may choose where they want to pitch. There are fire pits for our campers to use and we sell seasoned firewood at £5 per bag. kindling can be gathered from the woodland. We are pleased to be a Zero Waste campsite. This means that our visitors take away absolutely everything that they arrive with - including food wast, bottles and rubbish of all types. We will however, cater for nappies. Lower Porthamel is an organic farm and we do not want to generate unnecessary waste for landfill. Dogs, if they are well behaved, are welcome. Our new outdoor kitchen makes cooking outdoors a real pleasure and is a small sociable hub for our visitors to meet. Summer campers can enjoy fresh produce from the farm and organic meat BBQ packs can be purchased at our Small Farms Butcher shop in Hay on Wye. The hot showers and washing facilities with access for the mobility impaired are well maintained and within a stones throw away from the Orchard and camping barn.